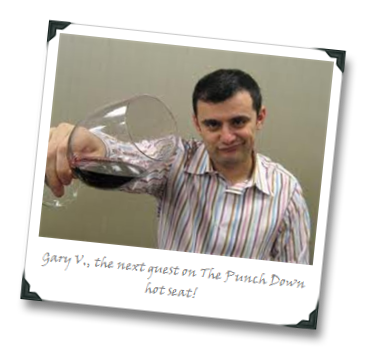 The Punch Down Episode Three With Gary Vaynerchuk (March 4 at 11AM ET)! 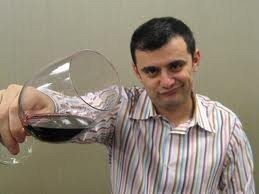 Next week – on Monday, March 4th at 11AM ET – we will welcome media maven and best-selling author Gary Vaynerchuk as our guest LIVE on Episode Three of TPD! For those of you who’ve been living under a rock for the last decade or so, Gary has authored two wildly successful business books – Crush It! and The Thank You Economy – but is best known among vino lovers for bringing an entire generation to the world of wine with his boundless enthusiasm (for an example, check out the vid we did together a couple of years ago in Napa) and quirky tasting notes, garnering nearly a million social media followers in the process. But lately, Gary V. has been conspicuous in his absence from the wine world, after shutting the doors on The Daily Grape in the Summer of 2011. In this episode of TPD, we’ll delve right into the wine topic, and hit him Gary up with questions about his life after Wine Library TV and The Daily Grape, discuss (likely with very high energy) how wrong the wine world is getting social media that, and find out what role wine plays in his personal and professional lives now. Will Gary ever return to wine? Does he regret leaving fans of his wine show in the lurch? We’ll find out – this is certainly an episode you won’t want to miss! We encourage you to hit us up with questions for Gary on twitter during the event, using the hastag #thepunchdown as well as through email (thepunchdown @ gmail.com), which you can send anytime between now and the event for a chance to get your question aired live with Gary. So join us on March 4th at 11AM ET and watch the virtual sparks fly. Gary may only be able to join via audio due to his travel schedule, but it’ll still be more entertaining than a pack of rabid monkeys doing handstands on barrels full of Malbec! 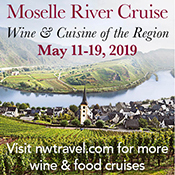 Cheers –and hope to see you there! Going to be awkward posing questions for Randall when Gary is SITTING RIGHT THERE! OK, small mistake there, Joe, but just felt I should jump all over it. And, hey, when are you going to get the HoseMaster to sit down for questioning? I love that guy. Ron – well, if you came here expecting editing… Add for getting HMW on the program, don’t tease me; if that’s a real possibility, I’d love to discuss it! Lookin' forward to this one! Thanks, Scott. Me, too. It's been a while since I caught up with Gary.